This is Part Six of a seven day series leading up to the official December 1st opening of pre-orders for Mortise & Tenon Magazine Issue One. Each day I’m discussing one tenet of the Mortise & Tenon Manifesto. 6. M&T serves as a bridge between disciplines. We believe that period furniture makers, conservators, and scholars all have a unique and important contribution toward researching and preserving our furniture heritage. We want Mortise & Tenon to be a place for those disciplines to meet and collaborate. Multidisciplinary professions like conservation can be frustrating at times. 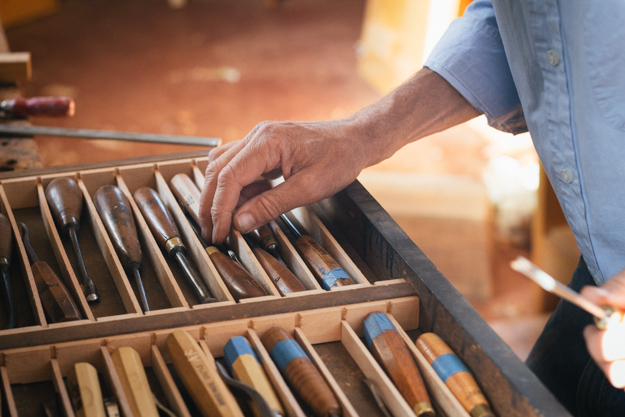 Because you are drawing on the expertise of multiple areas of discipline, it can feel like you’re a jack of all trades rather than a master of anything. 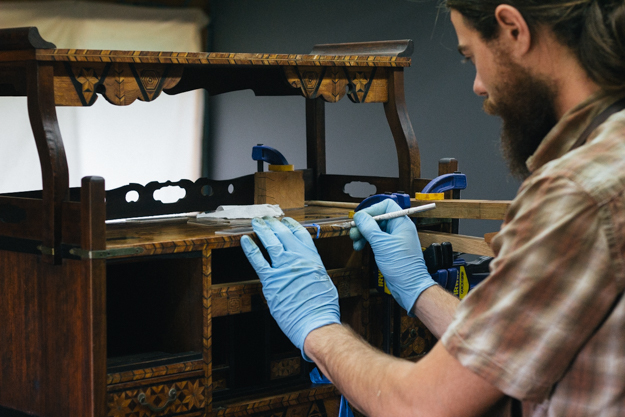 Furniture conservators straddle the worlds of woodworker and scholar. Although this dual citizenship sometimes feels like you’re shooting yourself in the foot, it does have a unique vantage point. An intentional conservator is able to be conversant with both spheres individually and at the same time seek to bridge them. 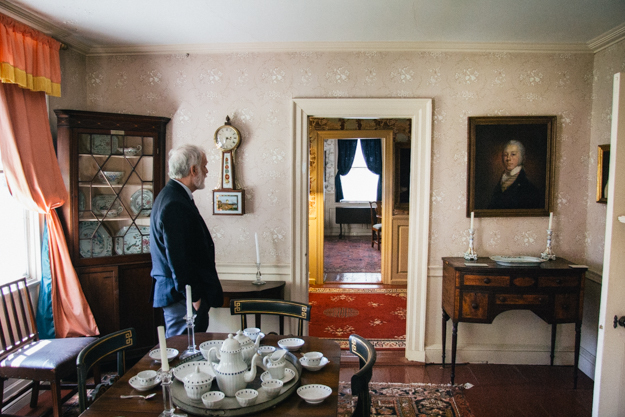 Period furniture makers, conservators, and scholars all look at the same object from different perspectives. A maker’s interest goes first to design and construction choices. Because they are in the business of working wood, they notice construction anomalies in a heartbeat. Conservators may note some of those things but they have been specifically trained to take note of physical condition and will spot repairs or modifications quickly. Scholars are interested in the stylistic and decorative features and often attempt to discover an attribution in order to place the object in a historical context. All of these observations are important to understanding the creative work of our furniture making forefathers. While a number of us are a little of each of these, no one is all of all of these. We need collaboration. M&T is determined to mine the depths of each discipline in order to broaden our collective understanding of historic furniture. Let scholars mine the documentary sources and write to educate, let conservators examine the originals and share the findings, and let makers recreate them so that we can learn period methods. There is so much uncharted territory to explore and the only way we’re going to get there is together. You have hit another very important point. The difference between the fields. The experts /author a rare very regiment about the evolution of period furniture design and making. Alot is based still on the old school ways. The modern period furniture maker is becoming more able to under stand the construction,materials,methods and finishing due to the research by the above. The first is one who is trained to conserve eg to keep as is to day for museums and collection. They can have a understanding of materials construction but not a full understanding of methods because the furniture has very rarely if ever major work carried out to learn from. They do have the real opinion to use science by having cost effective way (in - house ) timber and finish analysis carried out. The Restorer/Conservator is one who works like myself under the rules of a conservator but has to be able to brake a piece into components repair (knowing which timbers are need,all ways by eye and experience ) and rebuild. As another restorer friend called it "the Machinics of the piece". All fields can as you say work together but as I have found to great cost this doesn't happen. There is a order which is very hard to brake. Experts can disprove furniture with out seeing or examining it even after a detailed research document has been produced with the scientific evidence. There is no open debate so all fields can't sit around a table and openly cross reference the findings. When the article is of historical importance and has a value then it's a very closed shop.